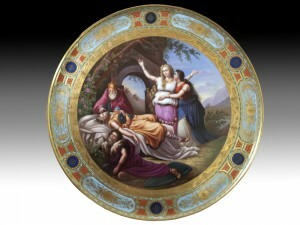 A very fine, late 19th century, Vienna style plaque of large proportions. 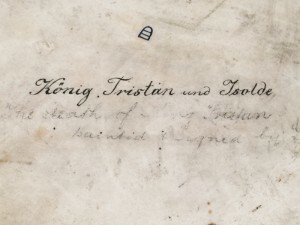 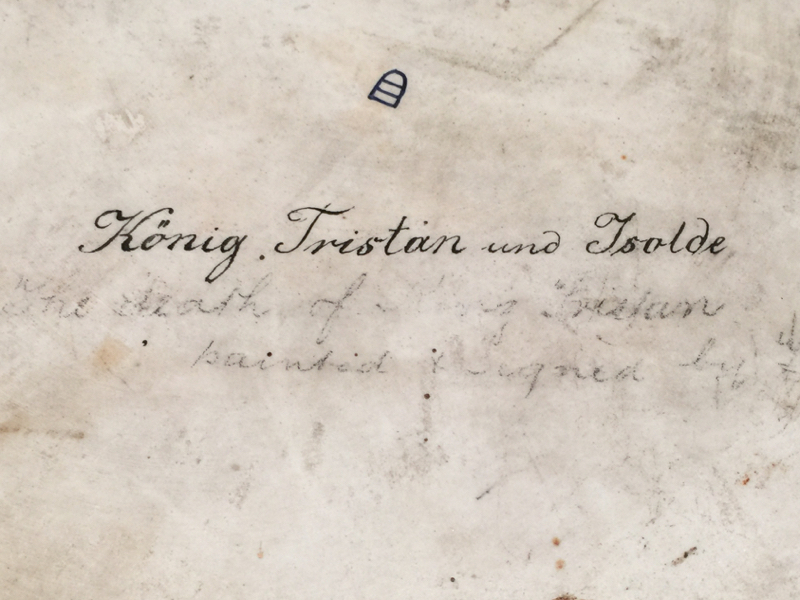 Entitled ‘Konig Tristan’s Tod’ (King Tristan’s Death), signed T. Schmidt. 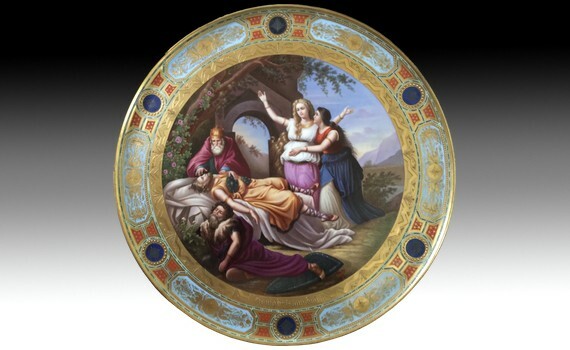 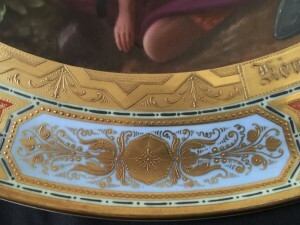 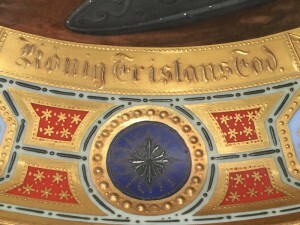 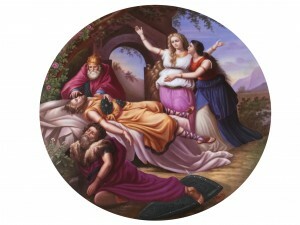 To the reverse ‘König Tristan und Isolde.’ The finely enamelled circular scene depicting Isolde weeping over King Tristian’s death, inset a raised gilded border with pale blue cartouches. 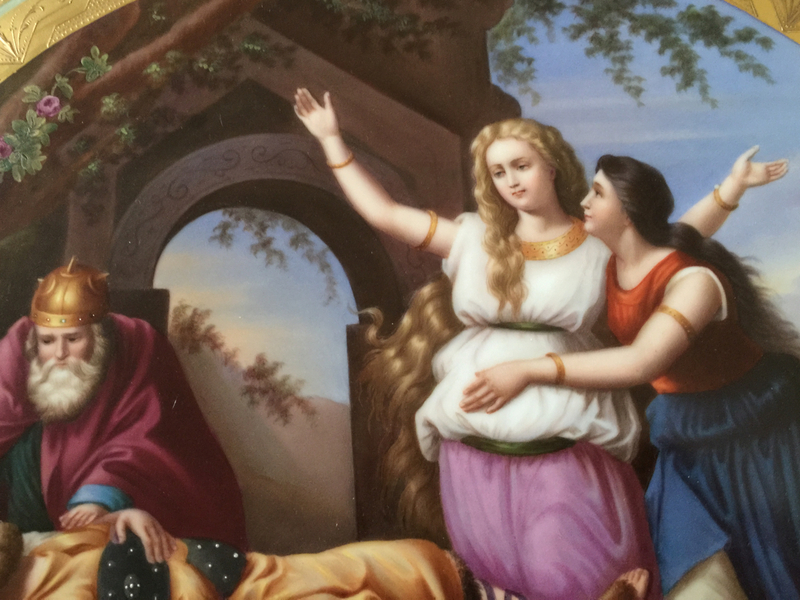 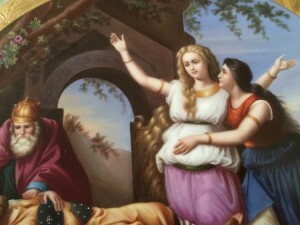 The plaque is in fine condition with no restoration or regilding.